A big happy family passes heaping platters of food around a beautifully decorated table. A couple snuggles by a crackling fireplace, warm and cozy. Two adorable children discover a pile of sparkling presents under a brightly lit Christmas tree. It’s the most wonderful time of the year . . . right? Our traditional Christmas imagery does not usually illustrate the many difficult situations that real-life people face at this time of year, such as the loss of a loved one, strained family relationships, financial stress or infertility. The sense that everyone else is glowingly happy can make those who are already suffering feel isolated and alone in their pain. This may not please your relatives, but pleasing them is not as important as caring for the real needs of yourself and your family. 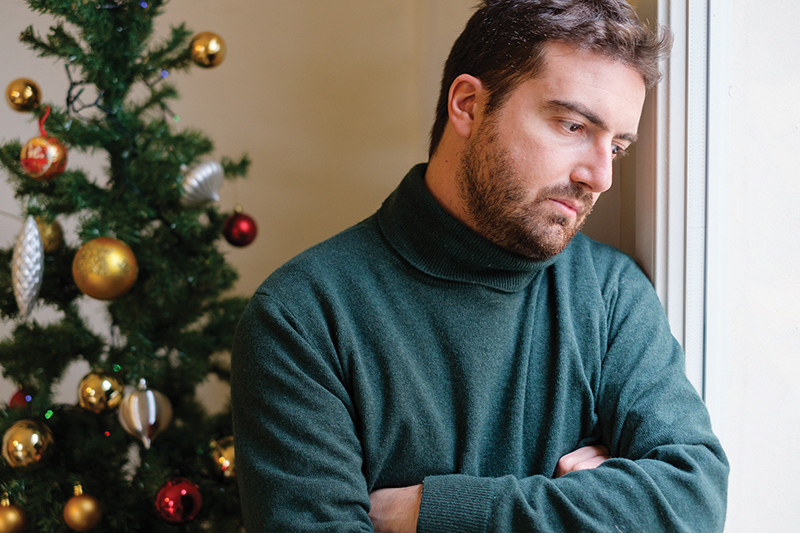 Although grieving during the holidays may feel lonely, you are not alone. Whether it is a conversation with a caring friend, asking your parish for help in finding material resources or seeking out professional counseling, do not be afraid to reach out for the help you need. Remember the real meaning of the holidays. In Advent, we remember the thousands of years that Israel longed for the fulfillment of God’s promise of a savior. At Christmas, we remember that God became man in the womb of a young girl. He was born into utter poverty and, as an infant, was forced to flee the country in fear of his life. When we switch our focus from the commercial view of Christmas to the actual incarnation of Jesus, we discover that he is with us in our suffering and wants to give us the graces we need to heal.